A very unusual, Wedgwood 'Capriware' eggcup. 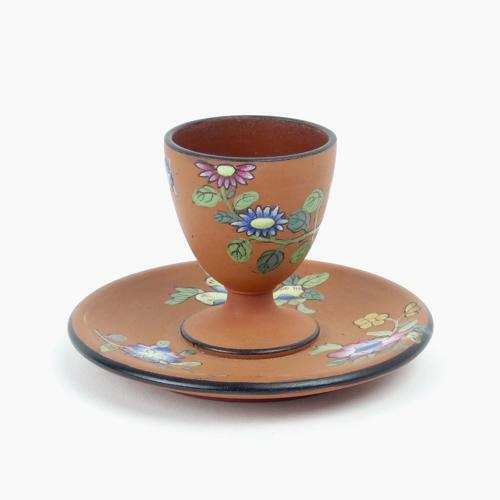 Capriware was a name which was given, by Wedgwood, to a style of decoration which involved raised enamel and gilded decoration, in the form of oriental flowers, on either a basalt or red ware body. This was first introduced in 1815. This piece is marked 'WEDGWOOD' and it dates from c.1820. Wedgwood eggcups of this period are uncommon but to find one in one of the more unusual bodies makes it even more interesting. It is in excellent condition.